If you could build an SDR or inside sales team anywhere in the US, where would you choose? Would you go for college graduate rich Massachusetts? Tech mecca California? Or low tax, low cost of living Georgia? 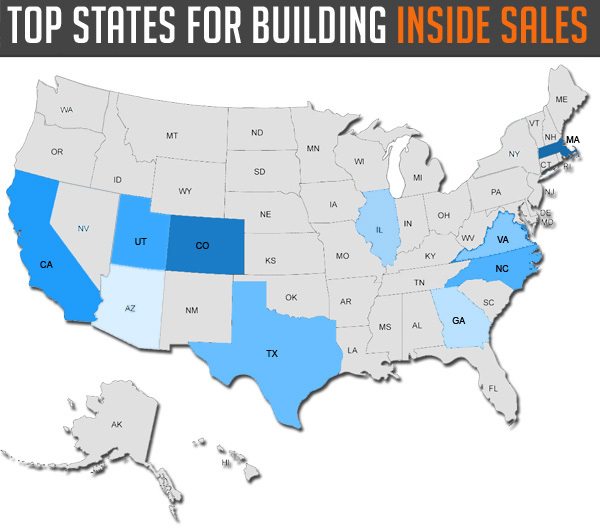 Imagine you are building an inside sales team anywhere in the US. 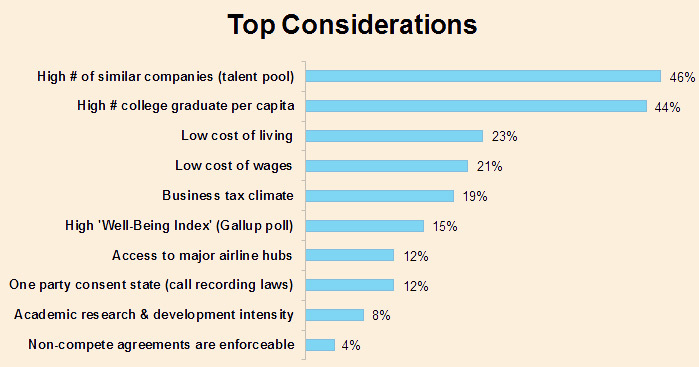 Which of the following would be top considerations in selecting a city/state? Using external data sources, I matched the realities in the states with the preferences in the poll. Bay State pride!! Now before you shout 'homer! ', you can take a look at the data if you like. 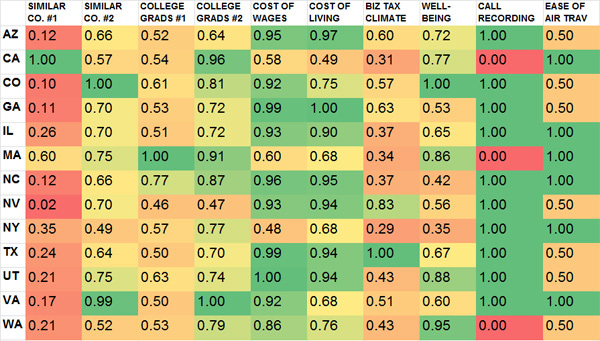 The categories ranked highest were 'similar companies' and 'graduates per capita.' Those favor MA, CO and CA. What if you have different preferences? If you prefer higher happiness and lower cost of wages, build in Colorado. If you prefer a high number of similar companies and business-friendly tax climate, build in Utah or Texas. Or if you prefer a large pool of recent graduates and a lower cost of living/wages, build in North Carolina. I'm interested to hear your reactions. What matters most when choosing where to build an inside team?